The invention of the laser led to “dramatically new possibilities” in the field of nonlinear optics during the 1960s, Prof. Robert Boyd notes in A Jewel in the Crown, a collection of essays about the Institute of Optics. A PhD student with a passion for motorcycle racing was among the first to explore those possibilities. Working with Albert Gold, an associate professor of optics, H. Barry Bebb developed one of the earliest theories of multi-photon absorption of laser light. Starting from a solid base in theoretical physics, Bebb’s subsequent corporate career at IBM, Texas Instruments and Xerox evolved into increasing levels of senior management. At Xerox, for example, he was part of the senior management team that overhauled that company and earned it the Malcolm Baldrige National Quality Award in 1989. That experience led him to establish a consulting company in 1990 to help other corporations improve their business operations. He subsequently joined ASI Consulting Group. A native of Wichita Falls, Tex., Bebb was a highly ranked professional motorcycle racer while simultaneously pursuing a bachelor’s in physics from the University of Oklahoma. He worked for IBM’s Military Products Division and the T. J. Watson Research Laboratory in the early 1960s. 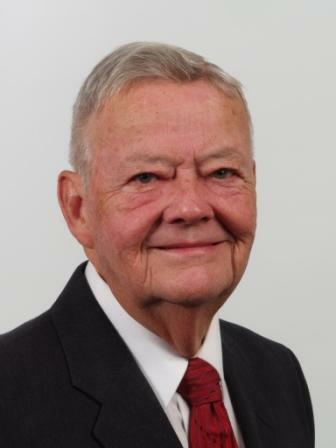 He earned his master’s through the University of Syracuse extension program at IBM in 1962, and his PhD in optics from the University of Rochester in 1966. He then joined Texas Instruments’ Corporate Research Laboratory as a theoretical physicist. Three years later he was appointed director of the advanced technology lab. He joined Xerox in 1974, and served in several management positions, eventually becoming general manager and vice president of one of Xerox’s largest business units during that company’s dramatic transition in the face of strong overseas and domestic competition. During much of his career he has strived to create and implement development processes and supporting environments that enable companies to consistently deliver high quality products. As a consultant, he has become an advocate of Six Sigma, which seeks to improve outputs by identifying and removing causes of defects and minimizing variability in manufacturing and business processes. He is a member of several professional societies, has published many papers, and has served on the advisory boards of engineering departments at major universities, as well as the National Science Foundation.